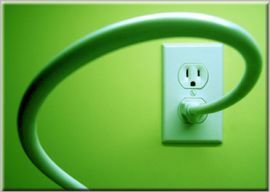 For Your Home - Enjoy a comfortable home without having to pay too much for your household electric bill. Sign up is easy. To choose the best plan that is right for you, simply click the large button "Residential - Meet your home energy needs" along the right column of this page. Fill out the information that is required by the utility commission and your utility company in order for us to get you enrolled. We will then send you a confirmation email repeating all the specifics for your file. Be assured that your information will be kept strictly confidential and will not be used for any other purpose. We will not disclose or share your information with any other party except with your utility company for the sign-up process and managing your account. If you have specific questions not answered by this website, or should you wish to talk to a live person instead, just give us a call at 888-565-4490 to speak with a friendly customer service agent. If you reach our voice mail when you call during off hours, please leave your name and contact information and we will call you back promptly. You may also email us at CustomerService@4ChoiceEnergy.com.